Lasts 3 to 6 months! 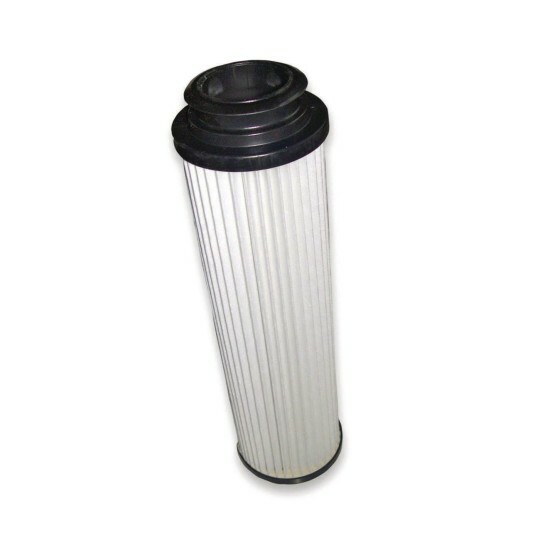 HEPA cartridge filter for W11874 Hoover Commercial Upright Vacuum. Fits Hoover model Numbers U8140-900, U6630-900, U6616-900, U5750-900, and Hoover bagless, WindTunnel bagless (including self-propelled) and commercial bagless upright models. No. 40140201. 11-3/4"H x 3"W. Change every 3 to 6 months.